As someone who suffers from dry, taught skin on my cheeks and oily skin with hideous gaping pores on my nose and chin, I have never had the luxury of being able to use just one treatment mask all over my face. Even before it was a thing, I always felt that clay-based masks were too drying for my cheeks but hydrating cream masks were too rich for my T-zone. So what to do? Mix and match of course! Ladies and gents, I give you multi-masking: the art of creating bespoke treatments that address the unique problems in each area of your face. Simple as that; there’s no rule that says you have to use one product all over your face. In fact, using the same thing all over could dry the areas that don’t need drying or cause breakouts in the greasy patches. It’s about tuning in to your skin’s specific needs. If you have an oily, acne-prone T-zone, use gel masks that contain astringent and anti-bacterial ingredients like tea tree oil and sage. For congested skin, opt for clay masks that dry on the face and unclog blocked pores. Dry, dehydrated and lacklustre skin call for masks loaded with hyaluronic acid and vitamin-rich oils that nourish and hydrate parched, dull complexions. I was recently introduced to the new range of Caudalie masks that were designed with this pick-and-mix method in mind. They encourage you to custom-tailor your own face mask using each of the four new options available: Glycolic Peel, Instant Detox, Purifying and Moisturising. 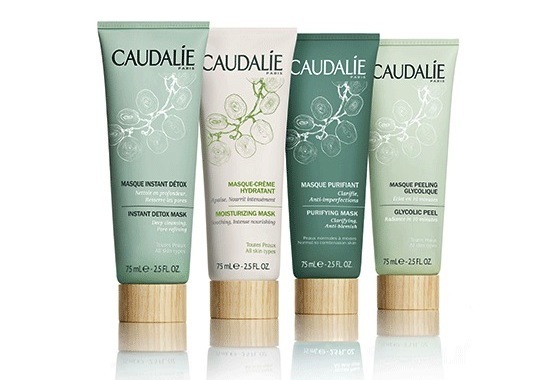 The great thing about Caudalie is that all of their products are incredibly gentle, and these masks are no exception. Even the glycolic peel was non-irritating and didn’t even tingle, yet to my surprise, my skin was super smooth and satisfyingly exfoliated after rinsing. As a sufferer of the aforementioned skin dilemmas, my two personal favourites of the collection were the Glycolic Peel and the clay-based Instant Detox. My skin was literally glowing the following day. For newcomers to the multi-masking method, this collection is a great place to start.